One of the bigger NBA stars to jump to the ABA (came to Cougars in 1970, from Atlanta Hawks); Known for his rim-crashing slam dunks, leaping ability and tenacious defense; Hampered in ABA by worn down knees, but still played in two ABA All-Star Games (1971 & 1973); Dr. J states that Caldwell guarded him better than any other ABA player; In 1972-73 Caldwell paired with Billy Cunningham, another former NBA All-Star, to form one of ABA's most deadly forward combinations. 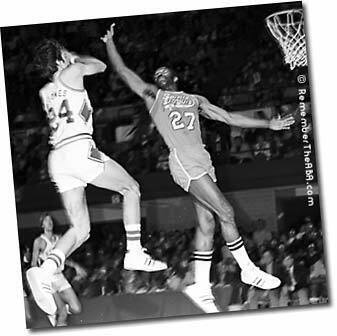 "If there was anybody who typified the superb athletic talent in the NBA," wrote Stan Isaacs of Newsday, "it was Joe Caldwell, the demon jumper of the Atlanta Hawks. 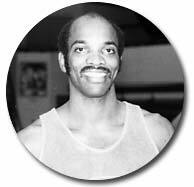 Now Caldwell is in the ABA and the new league is all the better for it." . . . Jumpin'Joe is, indeed, a magnificent athlete . . . Gets himself up with bigger fellows, but is so agile he can ruin an opposing guard . . . 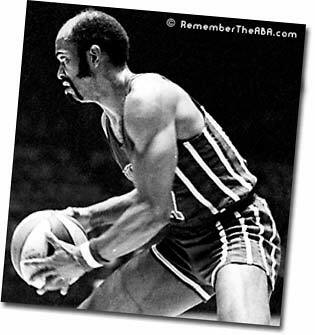 Led Cougars in scoring in 1970-71 with 23.31 ppg . . . 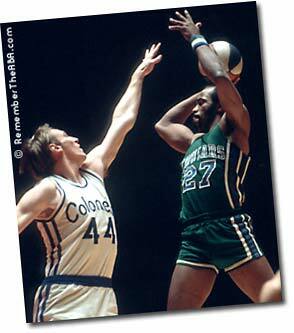 Outstanding in 1971 ABA All-Star Game played before Cougars fans in Greensboro . . . 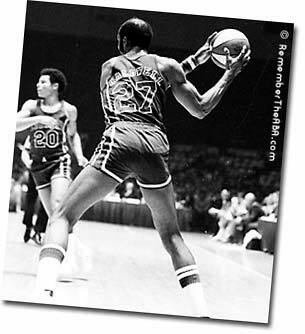 Some thought he, not Mel Daniels, should've been the MVP in that game . . . In 1971-72 a knee brace became a necessary evil . . . He tore ligaments on outside portion of his right knee . . . "A basketball player depends upon those muscles to give him push when he jumps," says Caldwell. "I don't have that blast anymore." . . . In carpet business in off-season, plans to make career of it.